WASHINGTON – U.S. Transportation Secretary Anthony Foxx, on September 12, 2014, announced that the Department of Transportation would provide $600 million for 72 transportation projects in 46 states and the District of Columbia from its TIGER (Transportation Investment Generating Economic Recovery) 2014 program. The Department received 797 eligible applications from 49 states, U.S. territories and the District of Columbia, an increase from the 585 applications received in 2013. Overall, applicants requested 15 times the $600 million available for the program, or $9 billion for needed transportation projects. Improving Access to Jobs and Creating New “Ladders of Opportunity: Americans are increasingly challenged by longer travel times, which take away from time on the job and at home. For those looking for work, unpredictable travel times can make finding work and keeping a job even harder. This round of TIGER invests in projects designed to cut down on travel times, increase predictability and, in some cases, attract new middle-class jobs into communities. A $24.9 million investment in the construction of a 7.6 mile bus rapid transit line in Richmond will connect transit-dependent residents to jobs and retail centers as well as spur mixed use and transit-oriented development in a city with the highest poverty rate in Virginia. A $15 million TIGER grant will develop a new bus rapid transit spine for Omaha, Neb., dramatically reducing travel time to major employment hubs in the city. Roughly 16 percent of the households within a quarter of a mile of the proposed bus-rapid transit route do not currently have access to a vehicle. A $20 million TIGER grant will pay for the modernization of Boston’s Ruggles Station, which will include the construction of a new 797-foot long, 12-foot wide high-level passenger platform between the Ruggles Station headhouse and Northeastern University’s Columbus Avenue parking garage. A $10.8 million investment in the Wando Welch Terminal Rehabilitation project in South Carolina will help make structural repairs, strengthen the berth, and make related paving and safety improvements. 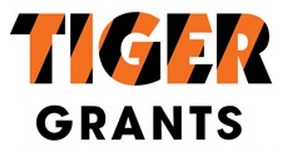 The TIGER funding will also be used for the installation of jacket repairs for damaged piles. The TIGER program enables DOT to examine a broad array of projects on their merits, to help ensure that taxpayers are getting the highest value for every dollar invested. In each round of TIGER, DOT receives many applications to build and repair critical pieces of our freight and passenger transportation networks. Applicants must detail the benefits their project would deliver for five long-term outcomes: safety, economic competitiveness, state of good repair, livability and environmental sustainability. Click images below to enlarge. Click your return arrow to come back to this Dilemma X article. ST. LOUIS – U.S. Transportation Secretary Anthony Foxx September 12, 2014 announced that the Bi-State Development Agency (known as Metro) has been awarded a $10.3 million TIGER grant toward construction of a new light rail transit (LRT) station and other improvements for accessing St. Louis’ existing MetroLink transit system. The project is one of 72 transportation projects selected to receive a total of nearly $600 million in 46 states and the District of Columbia from the Department of Transportation’s 2014 TIGER (Transportation Investment Generating Economic Recovery) Program, which Transportation Secretary Anthony Foxx announced on September 12. Under Secretary for Policy Peter Rogoff traveled to St. Louis for the local announcement. The TIGER funds will support the construction of a new light rail transit rail station at Boyle Avenue and Sarah Street in the Cortex District—filling a 1.6-mile gap between stations. A new bike trail connecting the new Cortex station to the regional Great Rivers Greenway will also be constructed. The improvements are expected to support the development of the Cortex mid-town “innovation district,” which is home to the Washington University School of Medicine, the Wexford Science and Technology Center and over 4 million square feet of planned mixed-use development hosting thousands of technology-related jobs. The TIGER grant also helps to expand the existing Central West End LRT station—the busiest on the MetroLink system, which serves a disadvantaged population. The overall work is expected to cost a total of approximately $13 million.